Despite the overwhelming success of Nazi Germany’s Blitzkrieg assault on France in May 1940, Adolf Hitler chose not to occupy the entirety of the country. Along with a small zone occupied by Italy, a significant slice of southern France was allowed to remain nominally free. Dubbed Vichy France and headed by Marshall Petain, the “country” effectively functioned as a satellite state of Nazi Germany. In November 1942, Adolf Hitler ordered the occupation of Vichy France after the Allies landed in Vichy French North Africa. One of the highest value targets in the Vichy French zone was the Vichy French fleet stationed in Toulon. Consisting of 3 battleships, 7 cruisers, 18 destroyers and 21 submarines, the addition of the Vichy French fleet to Italy’s Regia Marina or Germany’s Kriegsmarine could have had a significant effect on the balance of power in the Mediterranean theater. Aiming to deprive the Allies of the Vichy French fleet, Hitler ordered Operation Lila as a part of the larger takeover of Vichy France. Lila was intended to capture the Vichy French fleet at their anchorage in Toulon and turn the ships over to the Regia Marina. At the same time Nazi forces were setting in motion Operation Lila, Vichy French forces were planning to either flee to North Africa or, in the event they couldn’t escape, scuttle their ships at anchor. Unfortunately for the Vichy French and for the greater Allied war effort, only a handful of submarines and a single surface vessel were able to escape the clutches of the advancing Nazi war machine. Instead, the majority of the fleet was scuttled in Toulon and rendered combat ineffective to the Nazis and Italians. 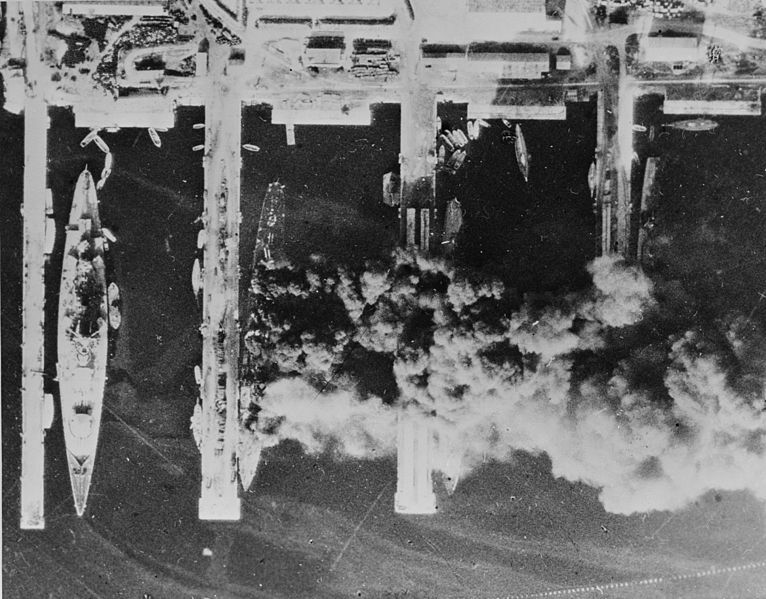 In total, 77 ships were scuttled including all of the French capital ships and, while 30+ small vessels were captured, Operation Lila was essentially a complete failure for the Axis.